As we are nearing the conclusion of the television series; and if the rumors are true that Martin is going to release the penultimate book in the series of Ice and Fire, we could be seeing as he has put it a “bittersweet ending” where winner takes all, and at the same time loses something important in the process. In the Wars of the Roses (of which the War of the Five Kings is partly based on), every House lost something and someone important. 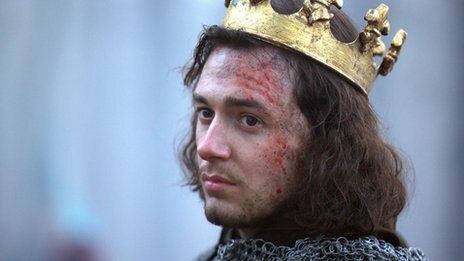 Edward IV’s death left a huge power vacuum (just as Robert’s did). The throne was up for grabs, unlike Cersei Lannister who was by her son’s side when Ned Stark forged alliances with many lords to depose her son, Elizabeth Woodville was far away and her son in Wales in the care of her brother, his uncle, Anthony Woodville (Earl Rivers). In this scenario, history’s Ned Stark (Richard, D. of Gloucester) was quick to action and intercepted the young king-to-be and his entourage. He imprisoned Lord Rivers and later executed him and other Edwardian Yorkists. Bess Woodville was forced into sanctuary and she refused to let go of her youngest son, the Duke of York when Richard ordered her to send him to him, so he could join his older brother Edward in the Tower of London. The two became known as the Princes in the Tower. They were never seen or heard from again after the summer of 1483, not long before Richard III and his Queen and son traveled to the North where the latter was invested as Prince of Wales. Rumors circulated throughout the country, even foreign contemporaries spoke about it. Edward V, the boy who would have been King, had his doctor see him before his disappearance. Doctor Argentine said that the boy looked so gaunt, almost as if he knew what was going to befall him. He never saw him again. The rest as they say is history. But here is where it gets interesting. One boy. One boy whose father had died before he was born, and whose mother was married to a Yorkist to ensure both their survival was exiled across the Narrow Sea. He was a boy with no lands or fortune but with a great ancestry that many would have died to take advantage of, to suit their own means. That boy was born at one of the worst times in the wars of the roses, and nobody expected him to amount to anything. And yet that boy survived and thrived and was now a man and now commanded the loyalty of many disaffected Edwardian Loyalists and Lancastrians. And he was now seen as a more attractive alternative to Richard III’s rule. Does this tale sound familiar to another exiled royal who has a great ancestry and born in an uncertain period, an orphan with no chances of ever doing anything great, and yet her banner of the three red headed dragon (similar to Henry’s banner of the red dragon) continues to stand; and who sees herself as the true heir Westeros? It should. George R. R. Martin took a lot of inspiration from mythology, science fiction (believe it or not, he’s said it) and most of all, history. Specifically late medieval and renaissance history. 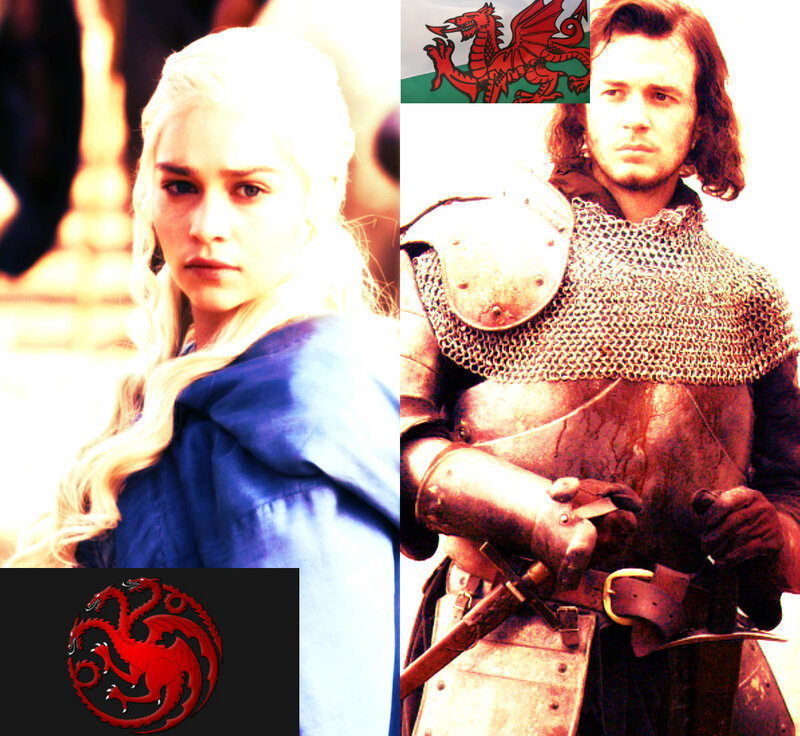 Daenerys Targaryen is another archetype of Henry Tudor. A female white haired Henry Tudor. Both of them have beaten the odds. 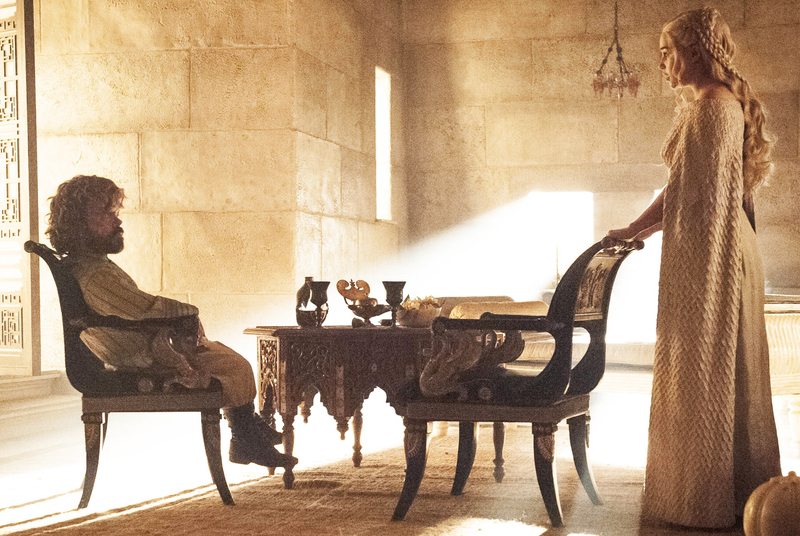 Who would have thought these two penniless orphans (in Dany’s case, both her parents are dead) would have survived to become huge contenders for the throne? After all as Tyrion says, Stannis (when he lived) would have NEVER recognized Dany’s claim, even if she had agreed to a compromise. “His claim rests on the illegitimacy of yours.” (Tyrion 5×08). Same with Henry Tudor, Earl of Richmond and the Plantagenets from the House of York. His Lancastrians relatives had disinherited his Beaufort ancestors from the throne. Richard II legitimized the union between his uncle and one time protector, John of Gaunt, first Duke of Lancaster and Katherine Swynford. But the children never got the surname of Plantagenet. They had been born before their parents’ marriage and their last name comes from one of Gaunt’s properties abroad. When Richard II was deposed and Gaunt’s firstborn legitimate son took the crown; he added a new clause which maintained his half-siblings’ legitimacy, but added that they were excluded from the line of succession. In the World of Ice and Fire that was released last year, we find out about an illegitimate branch of the Targaryens with a surname similar to the Beauforts. They are the Blackfyres, and instead of a three red headed dragon on a black background, we get the opposite. 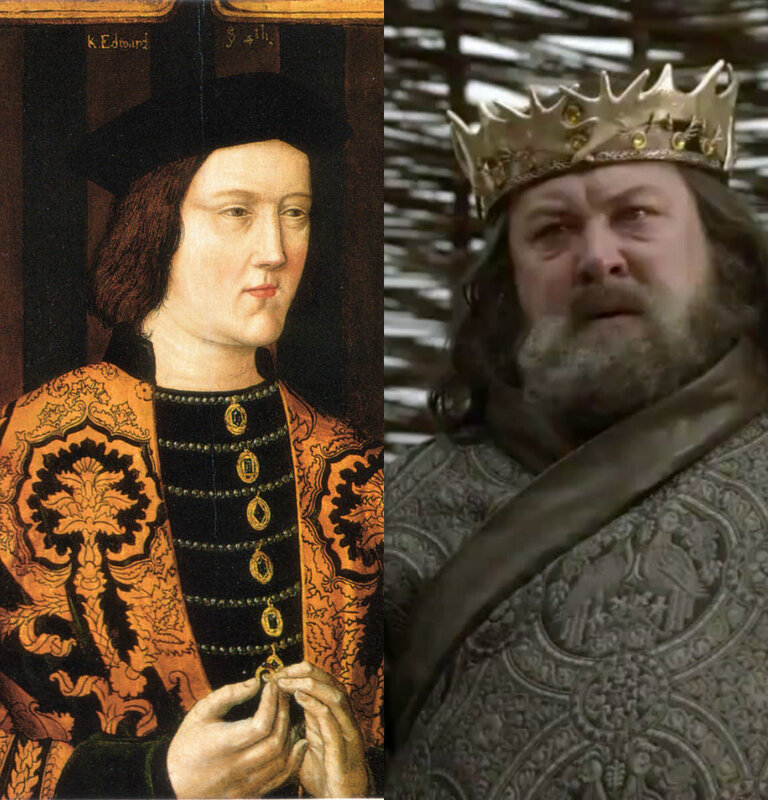 Yet, this hasn’t been mentioned in the series, and although there are hints that there may be one secret Blackfyre in the books; he doesn’t resemble Henry Tudor at all. It is clear that Daenerys is the Henry Tudor of the world of Ice and Fire. But Daenerys isn’t illegitimate. No, she is not, but with so many theories and hints being pointed out, we can never be sure what surprises Martin will throw at us. But one thing is certain. In the eyes of the Westeros current nobility, she is illegitimate and her claim must be seen that way, otherwise the current Kings’ power could be under threat. But rules are made to be broken. Henry Tudor knew this. When he landed on Milford Haven, Pembrokeshire, Wales, on the 7th of August 1485, he “kissed the ground meekly and reverently made the sign of the cross upon him”. Then he sent his men forward in the name of God, England and St. George. He proudly let his standard of the red dragon on a green and white field be seen. Fifteen days later his forces confronted Richard’s. Although he had amassed a great number of mercenaries and men previously loyal to Edward IV and to the Lancastrian cause (of the latter, the Earl of Oxford as Dany’s Ser Barristan, proved invaluable since he was one of the BEST military commanders England had ever seen); victory was still uncertain. In Wales, since his birth, the bards sang songs about him. The Tudors had been very loved, and thanks to his uncle Jasper Tudor, Earl of Pembroke, Henry earned a lot of support from that Region. But his forces were outnumbered by Richard’s. Dany is currently outnumbered by the many people she intends to take on in Westeros. After all, the Lannisters have taken out most of their enemies, just as Richard III and his brother before him, dealt with their enemies. What guarantee does she have (at all!) that the people will rise for her? What guarantee did Henry Tudor have that people would support him? True, he had Wales thanks to his uncle, but even so, a few would not make a difference against the many. And yet, these two are proof that “if you want something you can get it” as Marguerite of Anjou said in the period drama “The White Queen”. But do not take this to mean that everything is possible. Even though Henry’s goals were achieved, and Dany’s might yet be; they were all thanks in part to their ancestry. If they did not possess the lineage they did, nobody would have backed them up. As Tyrion says, with a great name comes great risks and advantages. Henry’s victory was ensured thanks to the great risk he and his supporters took, as well as his stepfather, Thomas Stanley, rushing to his rescue once he saw his standard-bearer (William Brandon) fall. This last action, ensured his victory. Likewise, Daenerys’ victory will be thanks to her ancestry and her dragons. 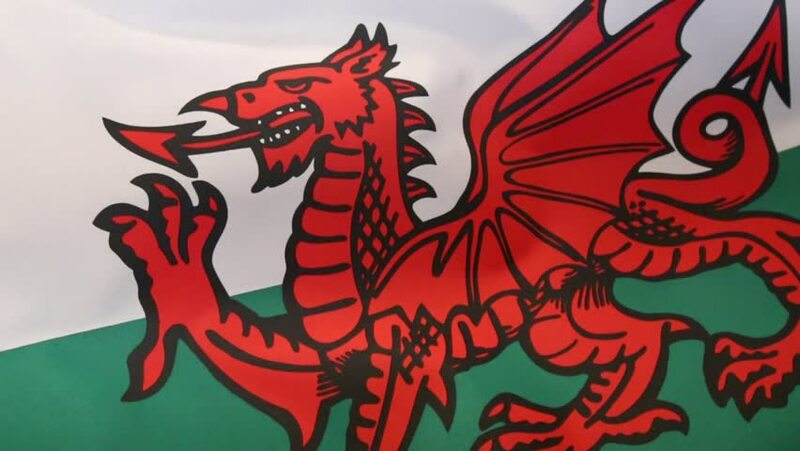 The fact that they are the first dragons that have been seen in over a century will be regarded as a miracle by many and as a part of a prophecy by others (just like Henry was prophesized to be the prince that was promised by many of his Welsh supporters). In the end, a song of ice and fire and the wars of the roses and the beginning of the Tudor Dynasty, are tales of great human drama, of men and women who were caught in the crossfire who were forced to grow up, who were forced to do things that they probably would not have done otherwise, and ultimately of ruin and death and of a bittersweet ending.